I never really look for partners on Mountain Project. No offense for those that do, but I always just rather climb with someone I have met, seen their belay technique and feel comfortable with. However, one time I was desperate to get to Rumney, my partner fell through, my back up plan and back up to the back up plan all fell through last minute. With a flight up to New England and no desire to cancel, I sucked it up and put a few hits out on Mountain Project. I got a handful of messages but only felt good about Brendan. Brendan turned out to be almost 21, very mature for his age, very serious about his systems, he looks up to and learns from the veterans, and has the deepest mad respect for climbing ethics all around. Brendan does it all, sport, bouldering, trad…you name it, he has dreams for exploring back country and FAs, and is already breaking grades at our favorite little spot….Waimea. I knew once I met this blonde curly haired, humble, quiet little sense of humor, yet full of power and dynamite kind of climber, that I inherited a younger climbing brother. Brendan has seen me at my worst, which this year has been nothing but climbing challenges for me going from an amazing peak of success to an injury that made me almost start from the ground up again, from bailing off easy climbs because of my finger, because of my recent head games from a huge, almost to my death fall in France and more….yet, he takes the time to be patient with me and encourage me. He has given me his trust to be his project belayer. We have had funny times, sad times, good times, sending times….and well what I translate as my inherited younger climbing brother. 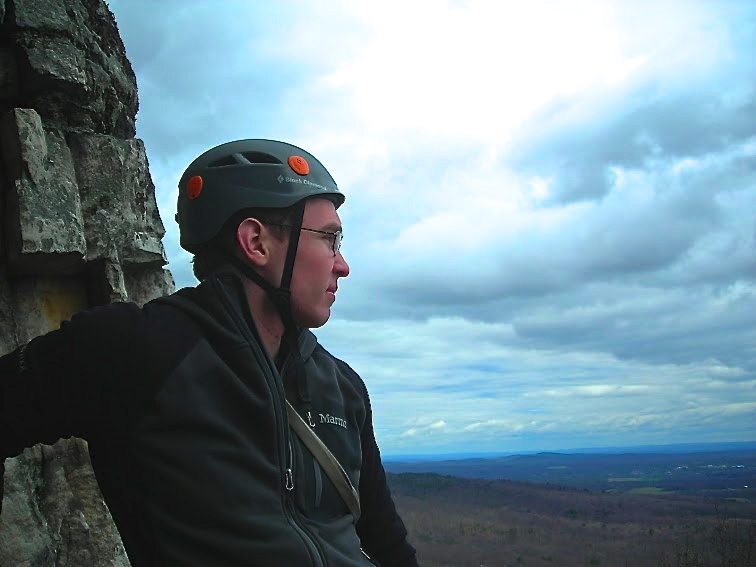 In no way can I have this blog and not interview such an inspiring young New England climbing talent. How did you get into climbing? My first experience with climbing was when I tried gym climbing in middle school. Then years later I was working in a summer camp in NH, went exploring, walked over to a small cliff ledge, slipped, and caught myself. I hiked all the way back with only one flip flop! Funny to say this, but that experience made me want to climb, outdoors. After that camp, I bought minimal gear and started top roping nearby. Once I felt comfortable, I branched into bouldering, sport climbing and ice climbing. And then the addiction started and I am not sure it will end anytime soon. 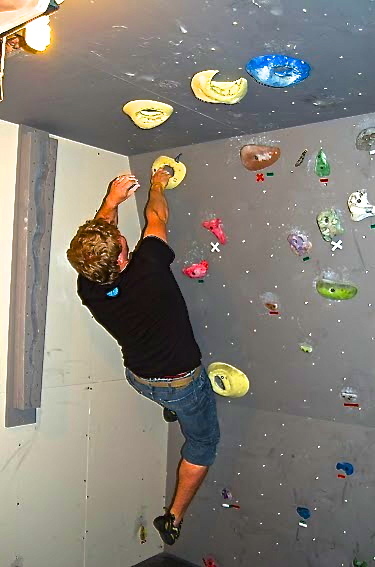 What was your turning point that got you shifted from beginner to advanced climber? Where I live there is not a huge gym, and climbers, we are kind of scattered. 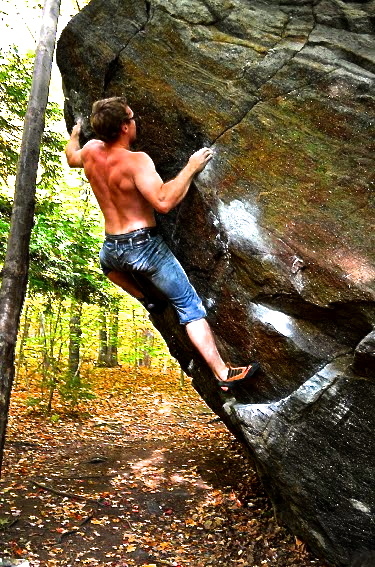 I did not have that huge gym climbing community a lot of folks have but a lot of my motivation comes from within and for exploring the “woods”. 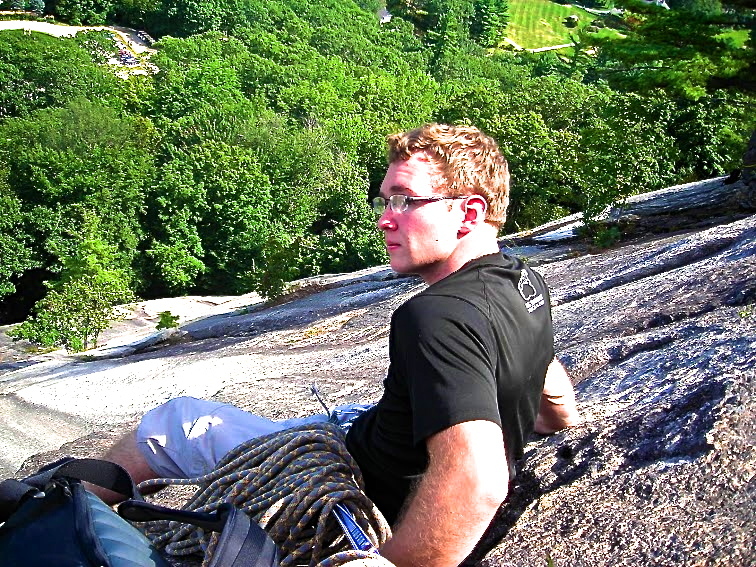 I do have climbing friends, and one most noted is my buddy Eli, we climb a bunch together. So what was my turning point? I went to the Adirondacks to ice climb with a very seasoned climber. It was my first adventure, 5 hours away from home, out side of my little back country crags in NH. That experience taught me a lot. First, I learned so much technique from this seasoned climber. I learned I had a lot of areas by which to improve, and everything I set my mind to was attainable over time with the proper training and outdoor experience. I learned that I loved climbing, a lot. So after that trip I started researching how to train, how to improve, and started getting out every weekend anywhere I could, from Rumney, Cathedral Ledge, Cannon, Whitehorse, the Gunks, and more. I even have a little set up at home for training! All of this motivation and desire to continuously improve and literally, just getting out to climb all the time was my turning point. Like me, you suffered an injury last year. Tell us about the injury and the journey you took to overcome it. It was Spring 2012. 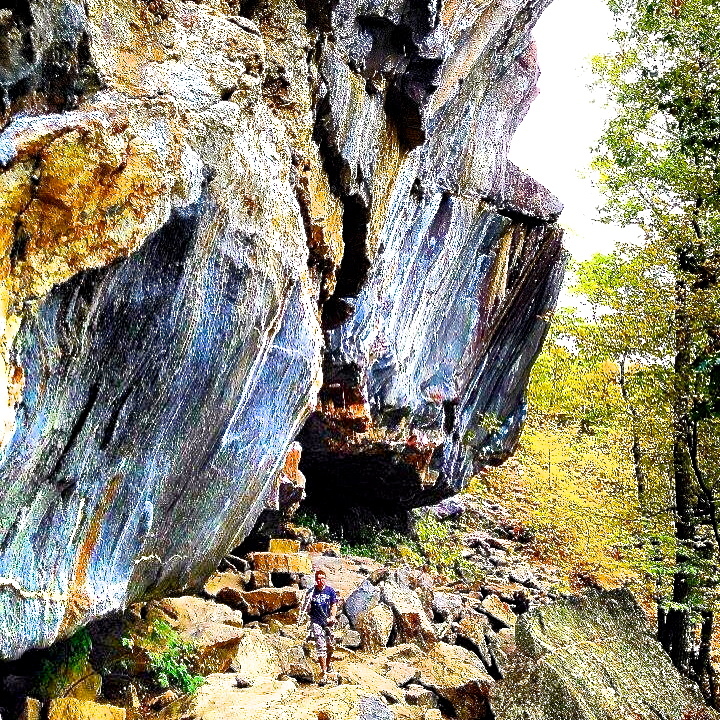 I was bouldering in Gloucester, MA at a small crag. I got on a boulder problem I had previously done and this go at it, I felt awkward and bailed. When I landed my left foot hit the ground and my knee kind of went the other way. The end result = I tore my lateral miniscus. At that moment, I thought climbing might be done. But 6 weeks after surgery, I was back to really easy climbing. Right now, I cannot stand too long and have to be careful on certain climbs. Since my injury, I have researched every thing I can to build myself back up. I even also had a second surgery in January 2013 and did my training all over again. I have one more surgery to go, so this year has been to experience everything I can through climbing. I am hoping to send a beautiful 5.13a at Waimea soon. Just the mere fact that I can get on a climb at that level post 2 surgeries makes my heart content. Whether I send it or not, after surgery #3, I know what I need to do to train back up and know if I put my mind to it and give my body the time it needs to heal, I will be back at Waimea! This injury taught me to think of ways to make my knee a consideration, not a limitation. What are 3 training components you cannot live without? This is hard, I have so many skills and workouts I have researched. I will list my current top 3 to help me post injury and to achieve some big goals. 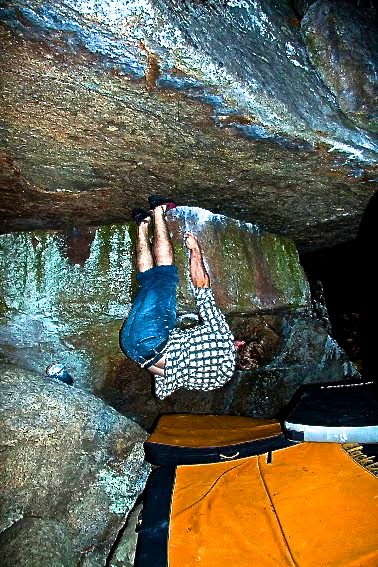 Hangboarding – Because of lack of a regular climbing gym and snowy NH winters, I take hangboarding very seriously. 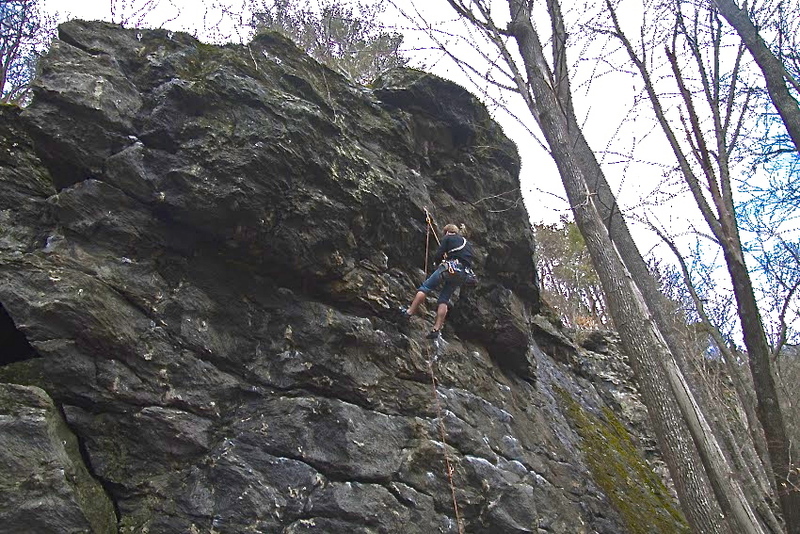 Many crags in NH are strength dependent, so the right regimen is essential for optimal performance. Local Endurance – I use this to build a general base in my climbing. Power Endurance – This helps me see results quickly, but also is what fades quickly, so I stay consistent at this one. Traditional, sport, ice, bouldering….you love it all. Which makes you itch the most? By far the hardest question because I love it all! I would have to admit I have spent more time bouldering and sport followed by trad then ice climbing. I am most moved by ice climbing and I plan to do it more in the future. Training, my basement wall, NH. Photo: Stuart Blanchard 2011. If you were sponsored to travel to one big climbing destination, what would that be and why? Another tough question! See I need to go somewhere where there is a full range of climbing for the experience. 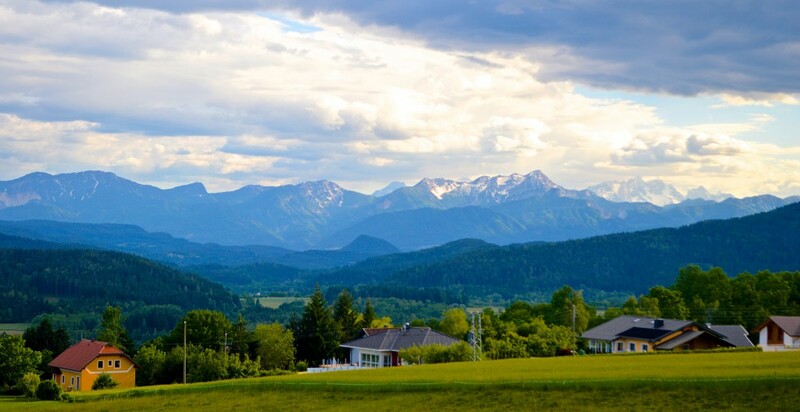 I need the aesthetics to be beautiful, views to be stunning….for the experience. I need to think about this more! You too have a blog. Tell us what inspires you to blog. Blogging is a way to explore my creative side, it allows me to talk more about climbing, something I love so much, and it allows me to be accountable and honest. I really hope my journey blogging and me documenting my personal experiences helps others increase their knowledge on climbing, training and so forth. You have a journey of only almost 4 years of climbing. What does climbing do for you so far? When I first started climbing, I really fell in love, but now, I am also just utterly addicted! Friends used to tell me I had no personality, but climbing has helped me identify with myself and build my personality. Great climbers usually have great mentors. Tell us about who or what helped you along your climbing journey? I stumbled onto climbing by myself and do not have a consistent partner or gym with a large climbing community. I am so motivated that I have done a lot of self learning and have taken every moment to learn from others that I climb with. To date, what is your biggest achievement? I don’t have a single greatest achievement other than I have had 5.12s this year I have red pointed fairly quickly, and I have had much easier climbs that left me smiling on the top. Although I am always on the path of improvement, that end result…”me smiling” is my big achievement. To be able to take any climb, super hard or super easy, and enjoy and appreciate every ounce of it. What famous climber inspires you and why? Nalle Hukkataival because he is super amazing, but his focus is development rather than chasing the hardest grades. What words of wisdom do you have to share with all the Climbingjourney readers out there? Do what you want, but don’t call it something it isn’t. 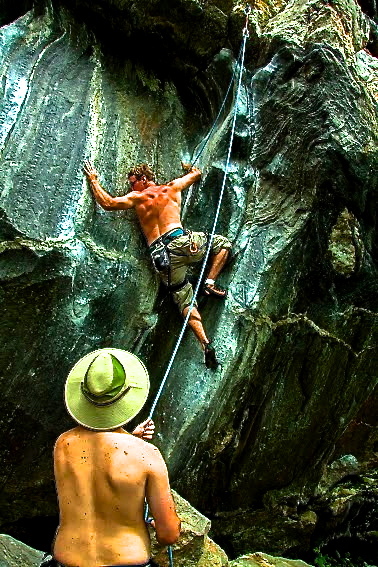 Climbing is your own thing and it does not need to meet anyone’s standards. Grades are not everything or the all to be all. 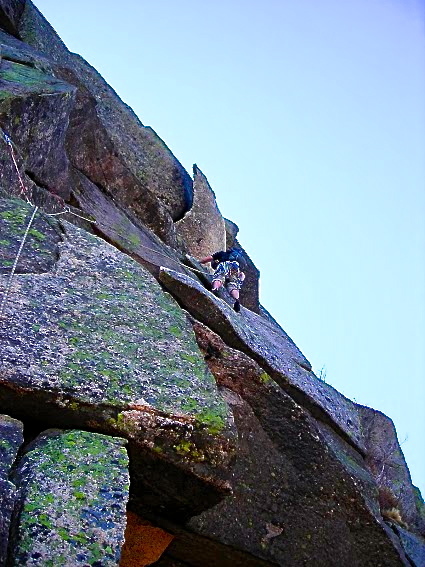 Climbing is what you make it, its what you want it to be. 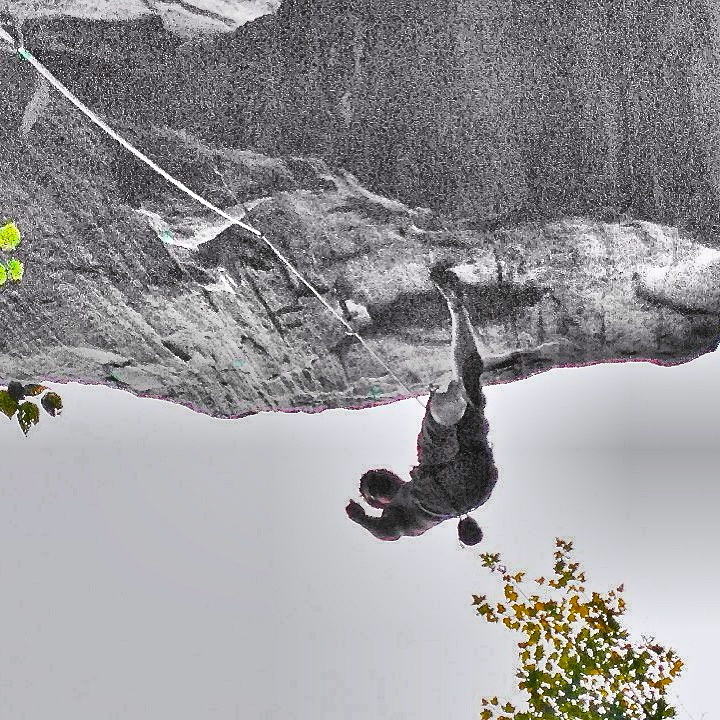 No Money Down, 5.10c, Rumney NH. My first 10 project at Rumney. Photo: Keegan Carter, 2012. I want to send thanks to Brendan for being such an awesome and patient friend and the time for opening up his heart for this interview. Make sure to check out his blog at www.rocksropesandcrashpads.blogspot.com.